Information about your computer hardware and software may be automatically collected by TLC Refrigeration. This information can include: your IP address, browser type, domain names, access times and referring website addresses. This information is used for the operation of the service, to maintain quality of the service, and to provide general statistics regarding use of the TLC Refrigeration website. TLC Refrigeration encourages you to review the privacy statements of websites you choose to link to from TLC Refrigeration so that you can understand how those websites collect, use and share your information. 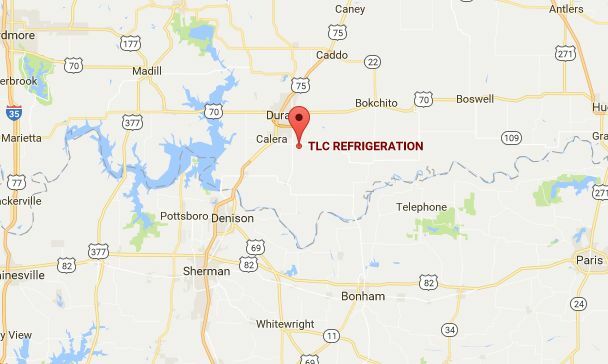 TLC Refrigeration is not responsible for the privacy statements or other content on websites outside of the TLC Refrigeration website. TLC Refrigeration does not knowingly collect personally identifiable information from children under the age of thirteen. If you are under the age of thirteen, you must ask your parent or guardian for permission to use this website. TLC Refrigeration will occasionally update this Statement of Privacy to reflect company and customer feedback. TLC Refrigeration encourages you to periodically review this Statement to be informed of how TLC Refrigeration is protecting your information. Our commitment to our customers is to provide the very best quality of customer service and the latest in technological advances in the industry. Our efficiency and reliability is second to none. We go above and beyond the call of duty to take care of our customers. When you choose TLC Refrigeration Heating And Air for your home or business needs, you can count on us for professional quality service. From sales and installation, to service and maintenance. No job too big or small. Our staff of highly trained HVAC Civil Engineers are there to take care of issues from service to replacement, routine maintenance, new installations, commercial and industrial maintenance, repairs, and new systems installed. We also provide a extended warranty program for your heating and air conditioning systems.